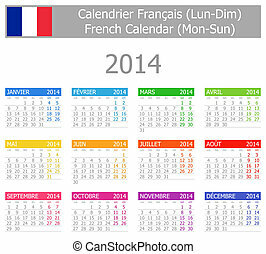 2014 french calendar. 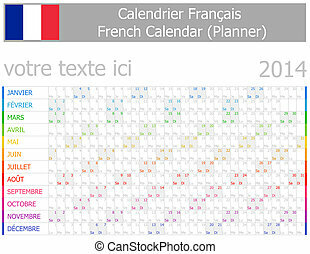 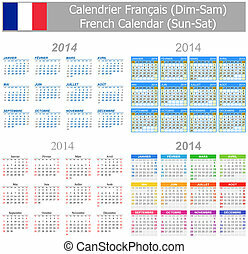 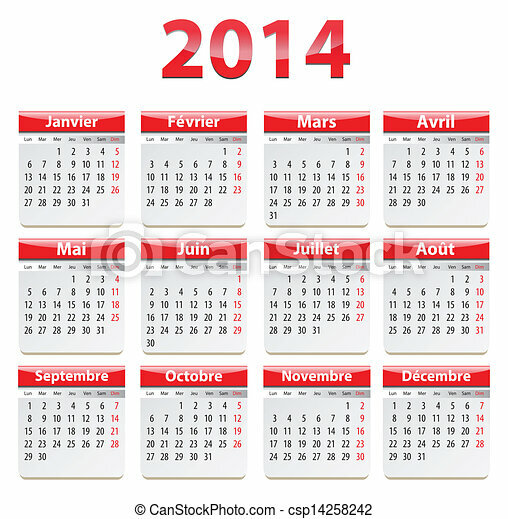 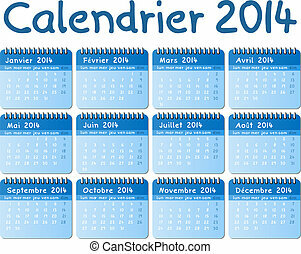 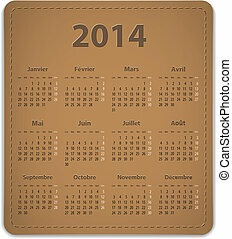 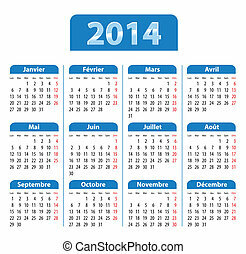 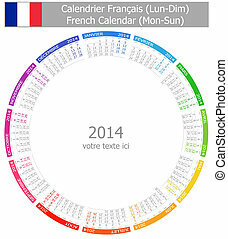 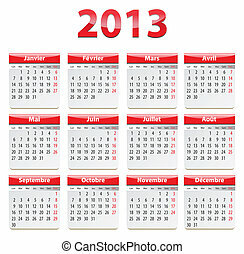 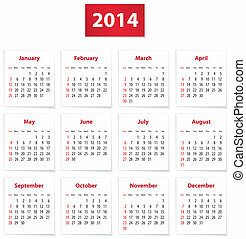 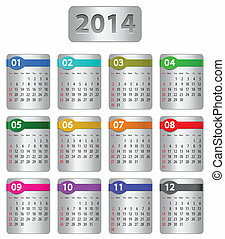 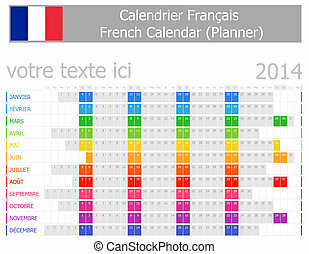 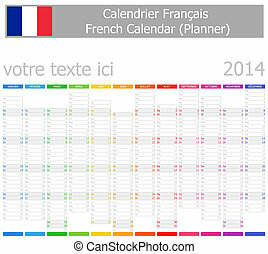 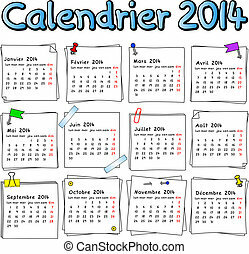 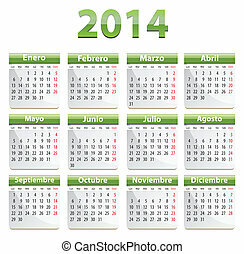 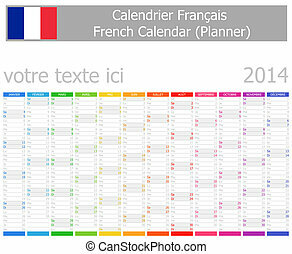 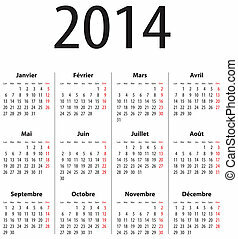 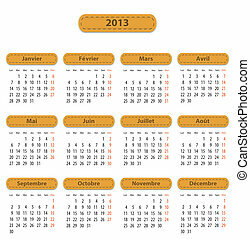 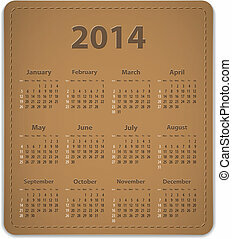 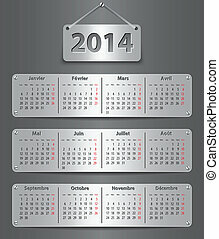 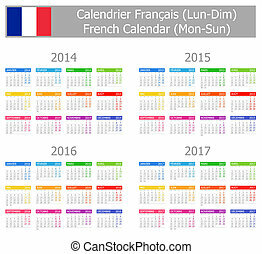 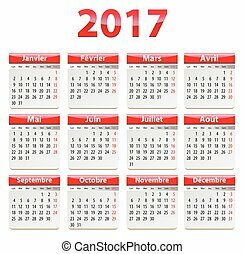 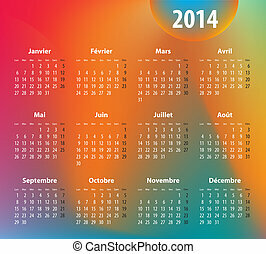 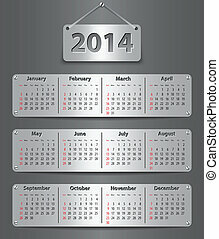 Calendar for 2014 year in french. vector illustration.